On the verge of losing your home? Do not just sit down, fret, and do nothing. Look for ways to stop foreclosure, help comes in several ways. They come in the form of the US government, through a loan modification company, or by simply negotiating with your lender yourself. The government, through the US Housing and Urban Development, has been formulating ways to assist financially struggling homeowners who are faced with foreclosure. It has intervened to exercise some control over the activities of lenders so as to protect the homeowners. It has also been coming up with various programs to help put an end to the spate of foreclosures. This includes the Emergency Homeowners’ Loan Program or EHLP, the US Treasury’s Hardest Hit Fund Initiative, HOPE NOW/ Making Home More Affordable Outreach, and the Homeownership Preservation Foundation. Many states also offer their own local foreclosure resources to these homeowners. Besides the Obama administration, the private sector also has several forms of help for homeowners looking to salvage their homes. This includes loan modification companies and attorneys specializing on this matter. Home loan modification companies, both the legit and the scheming types, have also mushroomed everywhere offering help to distressed homeowners. When going down this route, make sure to carefully choose whose assistance to employ. There are HUD-approved housing counseling agencies who can supply you with information and help you require to dodge foreclosure. With their help, you can avail of the administration’s Making Home Affordable loan modification or refinance so that you can arrange for a reduction in monthly payments and help you retain your home. Visit the HUD website to choose from a list of qualified counseling agencies in your area who can provide you with advice and foreclosure prevention services for free. Besides seeking the help of a third party, you can also directly talk to your lender to re-negotiate the terms to make it more affordable to you. Yes, get in touch with them instead of avoiding them even if you have been delinquent in your payments. Do not wait for your dues to run more than two months behind. You will lose more options, the more behind you are in your payments. This means that you need to get in touch with your lender as soon as you have difficulty paying for your mortgage. Your lender can offer you various workout options, such as forbearance, reinstatement, repayment plan, loan modification, or claim advance. There are a number of ways to help keep your home. If you are about to lose your home, do not panic. Assess your situation and then decide on the best way for you to stop foreclosure. Help will come in the option that you choose. Foreclosures nowadays are becoming as ubiquitous as the latest gadget. You can find them everywhere; you can even find them in your neighborhood and chances are, you could be facing it yourself. If you are, here is a practical home foreclosure help that you can apply in your case to wriggle your way out of this predicament. You have to remember that help is available to those who are facing foreclosure. You have to do something and find help. You cannot just allow letting go of things because if you do, you will definitely find yourself in the streets before you know it. Needless to say, nobody wants to find himself in the streets but it amazes me that you can certainly find people who are allowing this to happen just by doing nothing over their situation. If you are willing to help yourself, here are some things that you can try to work out with your lender in order to prevent foreclosure from happening. Depending on how effective you are in convincing you lender, the amount defaulted and the time that have lapsed, he may be willing to let you pay only the interest for a couple of years. You can also agree on modifying the loan term and getting your loan payment lowered. This should give you the time needed to get your finances back on track. Remember that often times, we all need the time to get our acts together and work out a plan to set our finances straightened out. If your lender allows you to get this kind of plan, you must make sure that you can pay the interest in a given length of time. There are some good natured lenders who will allow their borrowers to pay half the monthly interest rate if they feel that this is a good solution to get them back on track. This can also mean that the loan term will be changed into a longer period. Although this is very rare, there are a lot of kind hearted lenders who believe in working out with their clients rather than going after them. Thus, you should still try to ask your lender about this option. It doesn’t hurt to try. Although short sale will result in you losing your home, the good thing is, it will not result in foreclosure and it will not affect your credit rating as much as a foreclosure. This is the reason why this is very popular among those who are facing foreclosure. In this solution, you will have to sell your home at a value lower than your loan. You will then pay the proceeds of the sale to your lender. If there are deficiencies in the payment, you still have to pay the outstanding balance. If you can convince your lender, try to ask for debt forgiveness so that you no longer have to pay for the remaining debt. Again, debt forgiveness is very rare nowadays but still there is no harm in trying. Make sure to negotiate with your lender a home foreclosure help plan before losing your home. In fact, before you receive that Notice of Default, make efforts to meet with your lender and explain your part. You see, you have to do something and be proactive, otherwise you will lose your home. Remember that there are options available for you and if you lose your home without making a move, you are to blame. With the present economy going haywire, foreclosure is getting as rampant as it gets. This being the case, you need help with foreclosure because this is not something that you should face alone. For most of us, our job is our only option to get a steady income but, with the current rate of retrenchments, it is not surprising that a lot of us will also default with our mortgages. With this comes the huge possibility of getting foreclosed. In this article, let me give you some practical advice that you can do when facing a possible foreclosure scenario. If you had been in default with your mortgages, chances are you already have received various letters from your lender. Do not ignore these letters but rather, take them seriously because these are evidence that you had been warned of your delinquency and its consequences. The best thing to do is not to wait for any letters but rather, to communicate right away with your lender when any unfavorable changes in your source of income occur. Call or write to your lender without any delay and explain your situation. Be ready with your financial information such as a list of your income and expenses because without this, they may not be able to help. If there is an impending foreclosure, do not leave your home immediately. This will give the lender the idea that you are no longer interested with your property and that you are pushing him to foreclose you. Added to that, you will no longer qualify for any assistance if you leave your property. This will lock you into the possibility of getting foreclosed because you have neglected all your options. When you need help with foreclosure, you must contact a HUD-Approved Counseling Agency. These agencies are there to help you and clarify whatever confusions you may have. They can even give you options that you can present to your lender so that you can work out plans to continue paying your mortgages. They also have information on services and programs offered by both Government and private agencies that might be useful to you. Remember, their services are offered free of charge. This type of scam is done by persons disguised are “buyers” who would tell you that they would help you with your financial troubles by paying your mortgage when your property is sold. They would then ask you to deed your property to them and that you leave your property quickly. Then they would rent out your property and allow the lender to foreclose. There are some people who would disguise themselves as counseling agencies and offer to perform certain services for a fee. Before trusting these type of people, you better check if they are HUD-approved because if they are, then they would not charge for their services. When in need of help with foreclosure, follow these practical steps because these will surely help you out of your predicament. You should not allow things to grow from bad to worse because there are ways to wiggle out of foreclosure. Foreclosure is a downhill course with no breaks and pedals. If you default with one payment, expect to find yourself in the streets in matter of days. This can vary from state to state but in the Texas, you can expect to be evicted in as few as 30 days. Needless to say, you need foreclosure help. On the bright side, lenders especially banks realized that it is better to keep you in your home than kick you out of it because the prices of houses are dropping fast and the industry standards are changing. This means that nowadays, lenders would prefer to work out a plan with their borrowers in order for them to keep paying their mortgage and keep them in their homes. So if you find yourself in the brink of foreclosure, don’t panic because there are a few things that you can do. The first step to the road to financial recovery is to be honest with your lender. In most cases, borrowers who had been defaulting in their mortgages would avoid seeing their lender and allow the situation to progress from bad to worst. If you do this, then you are only adding fuel to the already cooking foreclosure. What you can do instead, is to see your lender immediately and tell him of your financial situation and ask for plans that you can work out so that you can continue paying your mortgage. As already mentioned, lenders don’t want to evict you right away but rather, they want to work out a plan with you because it is contrary to their interest that you stop paying your mortgage. If you’ve experience a sudden reduction of income or an increase in your living expenses, you may seek a special forbearance. Provide your lender with the necessary information proving this sudden change so that he will be convinced that you qualify for this new payment plan. By special forbearance, you may be allowed to suspend your payment temporarily or reduce it. You can refinance your debt and lengthen the term of the mortgage. Mortgage modification will help you catch up with the debt by reducing the monthly payment to a more affordable amount. Through a partial claim, your lender will help you obtain a one-time payment from the FHA Insurance fund. The US Department of Housing and Development will pay to your lender enough amounts to make your debt current. On your part, you have to execute a promissory which you will have to pay it when the first mortgage is paid off or if you sell your property. You will qualify for a partial claim when your mortgage is at least 4 months delinquent but not more than 12 months and you can begin to pay full mortgage payment. Pre-foreclosure sale will allow you to avoid foreclosure by selling your property at an amount less than what is necessary to pay off your mortgage. This is of course with the agreement that you will still pay for the outstanding balance. You will qualify for this if your loan is at least 2 months unpaid, you can sell your property within 3 to 5 months and the new appraisal of your property meets the HUD guidelines. If all of the above solutions fail, you can still avoid foreclosure by giving back your property to your lender. 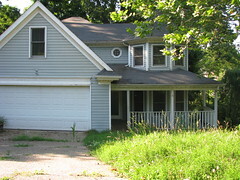 Although you will lose your house, you can still be saved from foreclosure and your credit rating still remains intact. When you finally summon all your strength to meet with your lender, ask him to help you examine your income. He would usually advice you to get 31% of your pre-taxed income and use that to pay your mortgage. Since this is a big amount that would be taken from your income, consider quitting things that are not so important. This can mean quitting your gym membership and start working out at home instead, changing that kind of food that you eat with cheaper alternatives and stopping night outs and start sleeping early. In short, start living within your means. The most important thing to do when facing foreclosure is not to panic. Panicking will lead to despair which will prevent you from thinking soberly and seek solution to your situation. Just always remember the several ways on how to get foreclosure help. Broward County Florida might be the best destination for tourists as far as The Sunshine State is concerned, but it is greatly affected by the economic recession and a lot of the locals are facing foreclosure. In the last few years, there had been 100,000 foreclosure processes initiated and the number is rising. One of the many reasons behind this is the fact that huge number of mortgages are given to people who are not able to take the financial burden from the get go. This is the usual case for those zero down payment loans which often cover up with monthly rates what it lacks for down payment. In some cases, a short sale is not even an option because even if the houses are sold at prices way below their appraised value, there are so few interested buyers. In order to avoid foreclosure, a loan modification in Broward County Florida has been resorted to by some in the locality. If you have considered loan modification as a way out, you should first check your eligibility. The first thing that you should do is to determine that the cost of the property you’ve mortgaged does not exceed the limit of $730,000. If it does, then you are not eligible. Next, you need to find out your current financial statistics by getting the figures of your monthly employment income, insurance, incentives, taxes and debts. Loan modification usually works by arranging a functional payment scheme by reducing your monthly expenses. The new payment scheme that the bank will usually offer you is based on 31% of your pre-taxed income. Remember that it is not possible to avail of a loan modification if you have taken the loan for less than a year. This is primarily because it is not possible for your income state to change in such a short time. But in cases wherein you are experiencing an unforeseen event like a loss of job, you can talk to your lender and present your case accordingly. Since it is in the bank’s interest that you pay your mortgage, although they won’t make key adjustments to your lease, they will surely reduce the penalties and other fees that you may have. Other measures will be done as well like reduction of interest rate and prolonging the term in the contract. The key to making a successful mortgage payment is cooperation between the lender and the borrower. If you fail to pay your mortgage, this is a failure for the bank as well. In Broward County Florida, loan modification programs had been very successful in enabling a lot of home owners keep their homes. A lot of home owners have re-possessed their homes after getting a loan modification and negotiating with the bank.